Looking to SAVE THOUSANDS? Look no further, this home qualifies for a NO CLOSING COST LOAN. 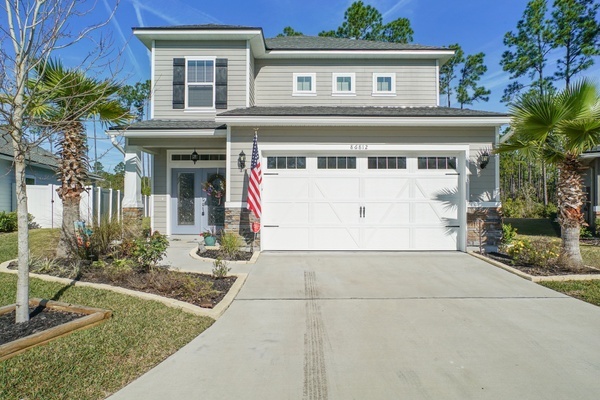 Awaiting your arrival is this newly built home located on a quiet cul-da-sac in the desirable community of Harbor Concourse. This beautiful 2 story home features a bright & open floor plan with wood look tile throughout and a spacious living room with built in surround sound. The Gourmet kitchen features a large center island and quartz counter tops. Located upstairs you will find the master suite and 2 generously sized bedrooms. For added convenience the Laundry room is located upstairs along with a large airy loft. Perfect place to relax is the covered lanai overlooking the manicured back yard. Conveniently located to shopping, dining , beautiful beaches and more!